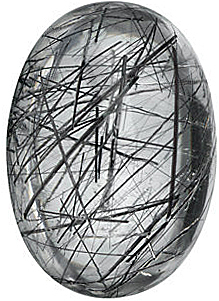 Tourmalinated Quartz in Grade AAA Oval Cut This Enchanting Natural Tourmalinated Quartz Gemstone in the AAA Grade is Colorless with Visible Black Tourmaline Needles, with a Good Cut, Good Polish and Good Proportions. This Quartz Gemstone Has Not Undergone Any Treatment. 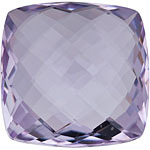 We Have the Largest Selection of Top Quality Quartz Gemstones available anywhere. Not only is our selection the largest, our quality is above the rest! We stock a complete range of Green Quartz, Lemon Quartz and Smokey Quartz in the largest selection of shapes, sizes and cuts anywhere, all at the lowest possible prices. We also offer these fine Quartz Gemstones same day shipping. We select our rough quartz from the most consistent and reliable gemstone producers. 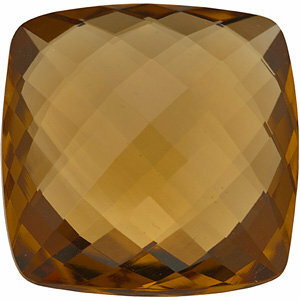 Most of our quartz gems are sourced in Brazil and cut in the best cutting houses in the Far East. Quartz gemstones can be made up into very chic and fashionable jewelry. 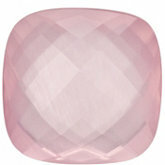 Many inexpensive yet very fashionalbe cocktail rings feature quartz gemstones as the centerstone. See a few of our fashionable quartz rings . Their are plenty of sources for loose quartz gemstones online. But if you are concerned with quality and treatment disclosure, AfricaGems can't be beat. Our cuts are well proportioned, not too deep and heavy, possess excellent brilliance and consistent quality. 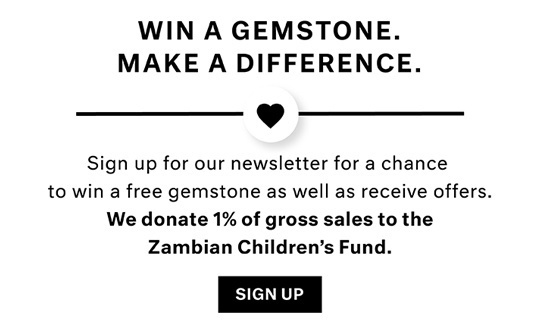 AfricaGems can match any number of quartz gemstones. Whether you need a matched pair for studs or 500 pieces for a line of jewelry, we can do it with excellence and speed! The USNRC (United States Nuclear Regulatory Commission) has strict import regulations regarding treated quartz gemstones to ensure that they do not have residual radiation from the treatment process. AfricaGems guarantees that all of our treated quartz gemstones comply and are imported under these regulations.